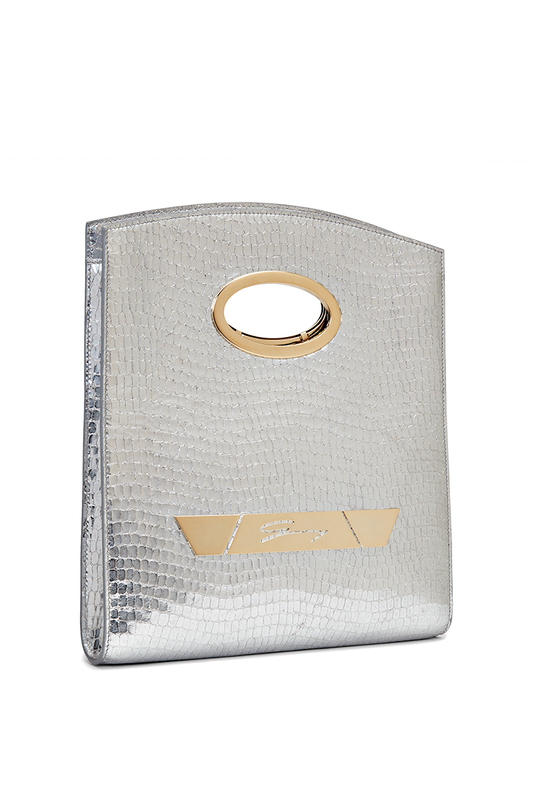 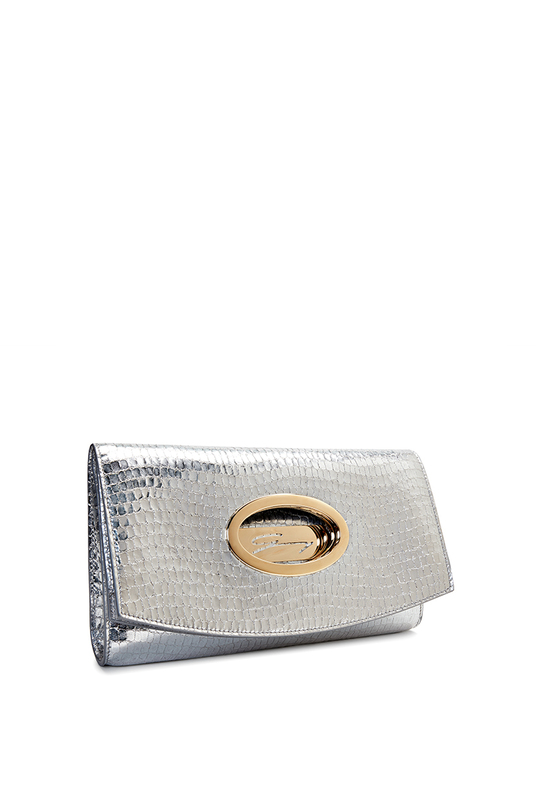 It becomes the undisputed star of your look, this silver clutch in leather with cocco effect. 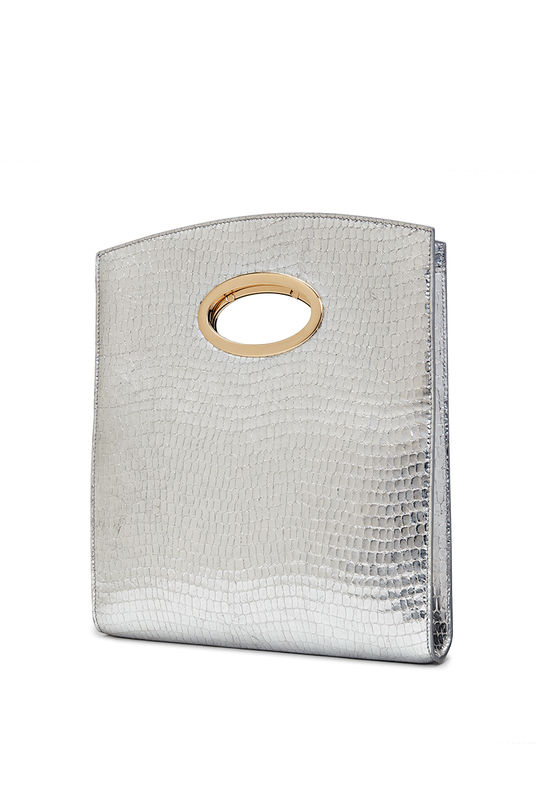 Its versatility is emphazied by the double ring in gold which allows it to be carried both folded and by hand. 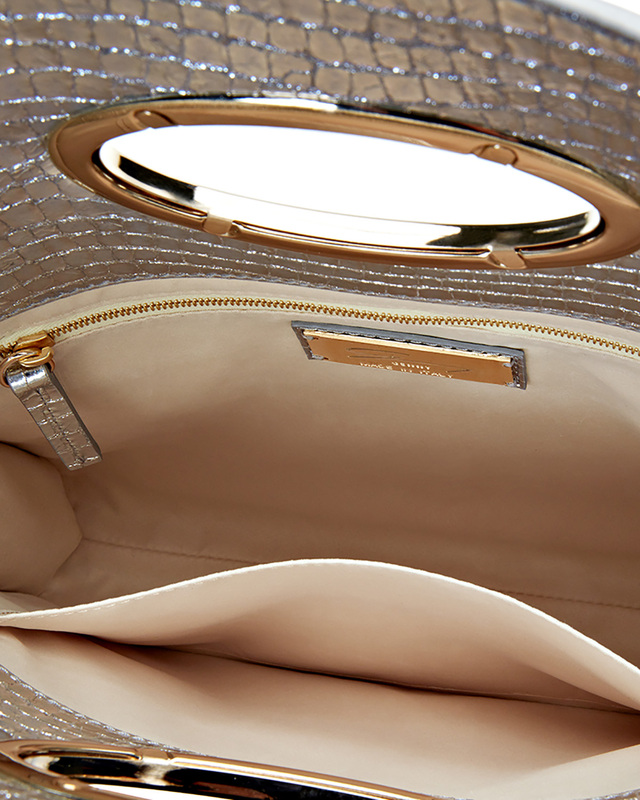 Details such as the three part plaquette in light gold, enrich any evening with a touch of sophistication and glamour.